The killing of a well-known supporter of Syrian President Bashar al-Assad in Lebanon this week was the result of a marital dispute and not politically motivated as previously reported, a security source and the army said on Friday. Mohammad Darra Jamo was a commentator who worked for Syrian state media and often appeared on Arab TV channels to defend Assad’s fight against a two-year revolt seeking to topple him. He was shot dead on Wednesday in the southern Lebanese town of Safarand and supporters of the Syrian opposition were immediately the top suspects. 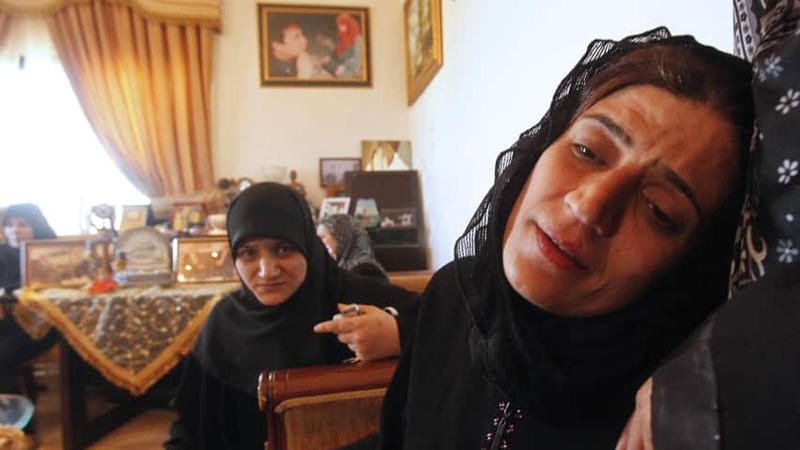 The Lebanese army said the killers had been detained and their weapons seized, and evidence so far has implicated Jamo’s wife, not Syrian rebels. “It became clear from initial investigations that there are no political motives behind the attack,” it said in a statement. A security source told Reuters that authorities believed the wife had arranged her husband’s killing because she was angry over alleged infidelities. Jamo’s wife was with him when he was shot but was not hurt. Lebanon is struggling to stay on the sidelines of the conflict in its much larger neighbour, but car bombs and clashes between rival sides in Syria have become increasingly common. The killing of Jamo occurred in a Shia area where pro-Assad Hezbollah guerrillas usually maintain tight security. Al-Qaeda’s Al-Bilad Sham Nusra Front groups in the center of the Islamic State of Iraq, including U.S. citizens seized the passport of a person. Passport shot Syria via Turkey Turkey customs seal appears to have the person in question. YPG also central Egypt, Tunisia and Bahrain seized passports and IDs. Attention-grabbing details about the armed groups attacking Rojava are revealed by the documents People’s Defense Units (YPG) seized two days ago after raiding the headquarters of the Islamic state of Iraq and Biladi Sham groups, including Al Qaeda affiliated Al Nusra Front. The documents YPG seized have once again revealed the fact that the Al Qaeda affiliated armed groups attacking against YPG in Rojava are acting with the support of foreign powers, that of Turkey in particular. The documents seized include a number of identity cards and passports as well, including those of American, Egyptian, Tunisian and Bahraini citizens. One of the passwords found here belongs to a citizen of the U.S. which declared the Al Nusra Front as a terrorist organization. The American citizen is seen to have crossed into Syria from Turkey. One id card YPG seized here belongs to a member of the Syrian Intelligence Unit, Cemil Şahin. – Faruk Zeki İbrahim, originally from Egypt and was born in the U.S.
-Faruk Zeki İbrahim, originally from Egypt and was born in the U.S. The other documents YPG seized include the sketches of military headquarters in Serêkaniyê, Tiltemir and Hassakeh. 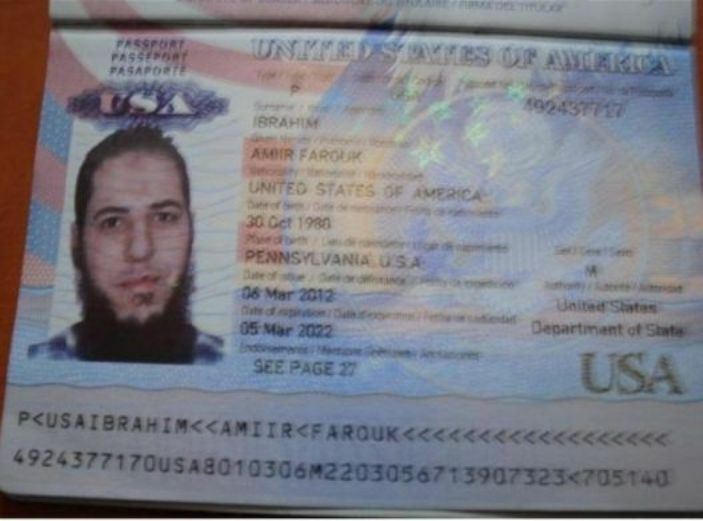 -Emir Farouk Ibrahim: U.S. Pennsylvania from the city. Istanbul Ataturk Airport via Syria in the past. -Farouk Ibrahim Clever: Egyptian-born in the United States was born. -Jamal Ali Riad Aladdin: Basket Cairo Egypt . Istanbul Ataturk Airport made the switch port to Syria. With the same passport, Saudi Arabia, Jordan, Iraq and Libya are gone. -Ridha Hussain Mansori:Tunisian . February 25, 2013 in Libya, the same day landed at Istanbul Ataturk Airport . The Turkish government has reiterated its call for the international community to take urgent action concerning the crisis in Syria. The call comes after a man was killed and a 15-year-old boy seriously wounded by stray bullets shot from Syria into a Turkish border town, with Kurdish militants having expelled jihadists from the Syrian flashpoint frontier town of Ras al-Ayn and the nearby border crossing with Turkey. “This is a striking picture that shows the extent to which the crisis in Syria can affect our citizens and us. We are calling on the international community once more, immediately and rapidly: If the U.N. Security Council is to fulfill the requirements of being the U.N. Security Council, then this is the moment. The time for saying ‘stop’ to this cruel massacre in Syria has already passed. Otherwise, the meaning of a lot of international organization missions, in particular of the U.N. Security Council, will disappear,” Foreign Minister Ahmet Davutoğlu said late on July 17 at an iftar gathering with bureaucrats from his hometown Konya. The pro-Kurdish Peace and Democracy Party (BDP), meanwhile, has suggested that the government is providing support to al-Qaeda linked groups against the Kurdish Democratic Union Party (PYD). “The fact that assailants made up of gangs affiliated with the al-Nusra front are supported by government of Turkey is further increasing our concerns,” the BDP said in a written statement. “We would like to note that the policies of the AKP [Justice and Development Party] government, which completely contrast with the continuing democratic resolution process, are both paving the way for an increase in distrust and provocations,” the statement added. While suggesting that the operations are causing a reaction not only among Kurds in Rojava, but also those in Turkey, Iraq and Iran, the BDP urged the AKP to move beyond its current position, which it said would lead to instability in the region. Clashes between People’s Defense Units (YPG), the militant wing of the PYD, and the al-Nusra Front have continued today in Ras al-Ayn. Municipal officials have asked citizens in Ceylanpınar not to leave their homes and stay away from windows. Safety measures have also been bolstered in the town. Sen. John McCain said Thursday that he will place a hold on the renomination of the nation’s top military officer, after he and Army Gen. Martin Dempsey got into a heated exchange on the Hill over the administration’s handling of the Syrian civil war. 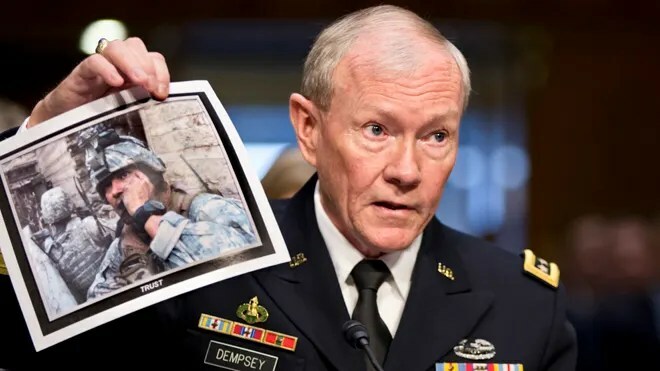 McCain clashed with the chairman of the Joint Chiefs of Staff as he suggested Dempsey was partly responsible for a lackluster response to the Assad regime’s aggression. After the exchange, the Arizona Republican told reporters he would place a hold on Dempsey’s nomination for a second term. A “hold” refers to the Senate practice in which a lawmaker can stall a nomination in order to extract information or assurances out of a nominee — in this case, McCain suggested Dempsey was not being forthcoming at the hearing about his views on Syria and other subjects. Dempsey told the Senate Armed Services Committee, which is considering his nomination for a second term as chairman of the Joint Chiefs of Staff, that he has provided President Obama with options for the use of force in Syria, where a civil war entering its third year has killed almost 93,000 people. Dempsey said the issue is “under deliberation inside our agencies of government,” but did not provide additional details. He used the term “kinetic strikes,” but said the decision is ultimately one for elected officials. “Senator, as we’ve discussed …” Dempsey replied. Dempsey then said the United States is at “greater risk” due to the emergence of violent extremist organizations in Syria, as is Iraq. “You’re not answering the question, General,” McCain said, before asking his original question again. “With all due respect, Senator, you’re asking me to agree that we’ve been inactive, and we have not been inactive,” Dempsey replied. “We have not been inactive,” McCain said, to which Dempsey affirmed. McCain then asked the question a third time, prompting Dempsey to testify he’s in favor of building a “moderate opposition” and then supporting it. The question to support that with “kinetic strike” is ultimately up for elected officials to make and not for the senior military leader of the nation, Dempsey said. McCain then noted that Dempsey testified in February that he advised Obama to arm vetted units of the Syrian opposition. Then, in April, Dempsey no longer supported the opposition, McCain said. Dempsey wouldn’t accept the term “pirouette,” he said. Other fireworks during the hearing included Sen. Lindsey Graham, R-S.C., asking Dempsey directly whether Syria’s embattled president, Bashar Assad, is winning the fight in the war-torn country. “Currently the tide is shifting in his favor,” Dempsey testified. Winnefeld, meanwhile, said if pressed, he would say Assad’s regime is winning. “But not by much,” he testified.